On the real railroads as well as toy trains, Gauge refers to the distance between the outside rails of the track. Lionel offers four distinct product lines: Imagineering, G-Gauge (also known as Garden Gauge), S-Gauge and O-Gauge. 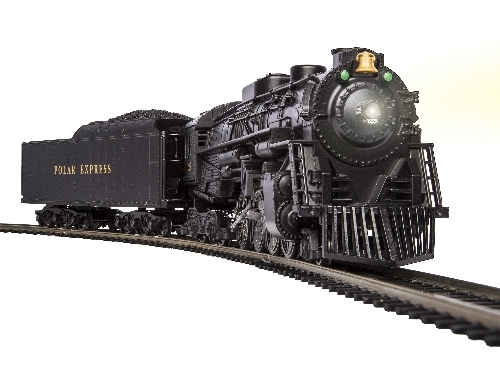 Lionel S-Gauge sets and locomotives are approximately 1:64 scale and are sold under the name American Flyer®. Lionel S-Gauge track (AF FasTrack®) is narrower than O, has two rails and supports American Flyer and other S-Gauge cars. Lionel recommends S-Gauge for train hobbyist and collectors who prefer a scale smaller than our Traditional O-Gauge or O Scale line. Ready-to-Run sets are Traditional S-Gauge, and contain everything a customer needs to run their train in minutes – train set, oval of track, and, power supply. To allow customers to continue to add product, Lionel sells specialty track products, rolling stock. Lionel O-Gauge track systems- which include O, O-27, and FasTrack® - all measure 1-¼” between the outer rails. Any O-Gauge car or locomotive can ride on Lionel O-Gauge track, as long as the curve track used on your layout can accommodate your particular cars (see Minimum Curve section – this text should link to a modal of Gauge size). Lionel O-Gauge sets are electric sets that are approximately 1:48 scale and are what most people envision when the think about Lionel. O-Gauge is divided into two categories: Traditional O-Gauge and O Scale. Lionel’s popular Ready-to-Run sets are Traditional O-Gauge, and contain everything a customer needs to run their train in minutes – train set, oval of track, and, transformer.